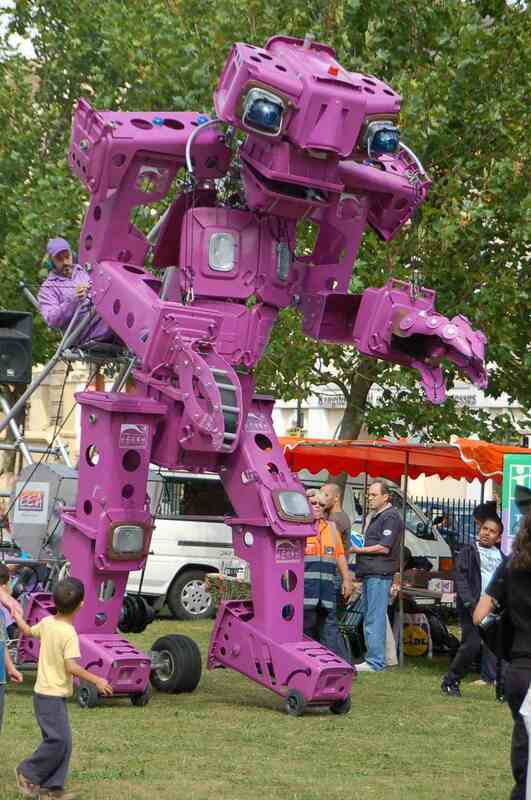 At four metres high and made from 33 pink wheelie bins, this friendly and engaging Giant walks and talks and moves around, towering over a double-decker bus. 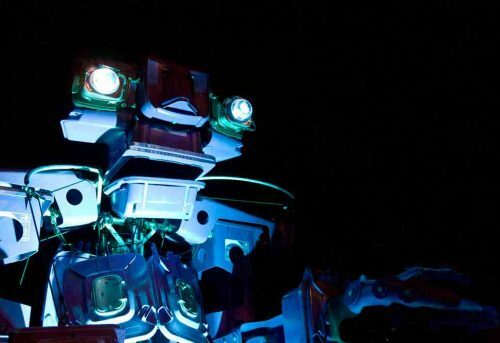 He also has an environmental message, being made of recycled material himself. 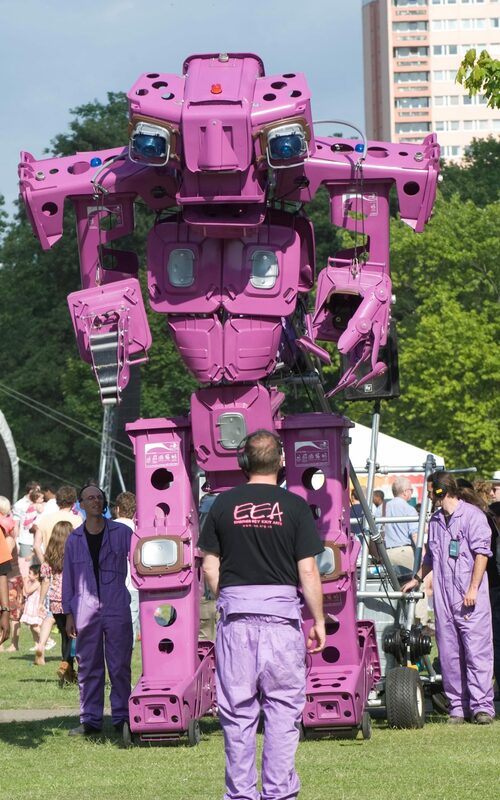 At three times the height of the average man in Britain and about the size of the average two-storey house, the giant tours the streets as an ambassador for recycling and is available for hire for parades, festivals and community events. 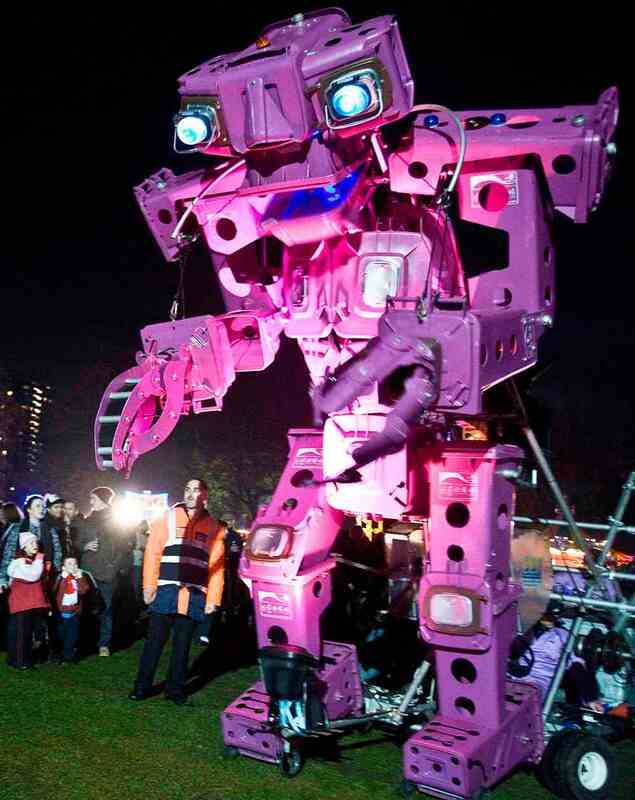 We can also provide stunning, close proximity pyrotechnic effects that will add extra excitement when the Giant appears at your event. 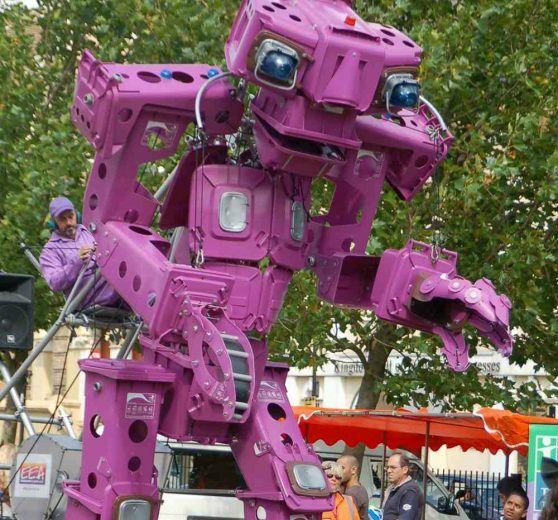 Add a parade and a finale show and you have the perfect spectacular for your festival.